EJA campaign to extend full religious freedom to Orthodox Jewish college students succeeds in Romania. 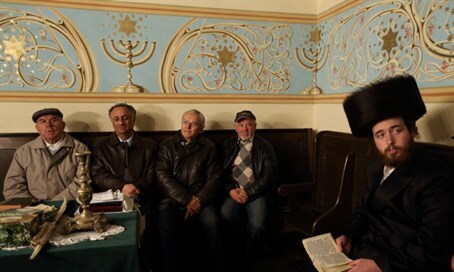 The Romanian government has instructed state universities to allow Jewish students to miss exams and classes on Shabbat and Jewish holidays, the European Jewish Association (EJA) announced Sunday, following concerted efforts by director Rabbi Menachem Margolin. Margolin met with EU leaders, including several countries' Education Ministers, to facilitate the allowance. "We want to assure you that the Romanian universities will adopt the recommendations for all Jewish students in our country," Gigel Paraschiv, Romania's Secretary of State for Higher Education, stated Sunday. Rabbi Margolin thanked Paraschiv for his quick response, noting that EU Education Ministers were willing to yield some state autonomy to allow Jewish students to be able to keep their religion. "We will not rest until all Jews in Europe could live in tranquility, confident that they have full religious freedom," he added. More than 200,000 Jews are studying in universities across Europe. Thousands of them have been forced on multiple occasions to choose between keeping Jewish law and keeping their academic obligations. Education systems in Europe do not recognize the need for Jews to keep Shabbat or holidays. Rabbi Margolin penned a stern letter to EU Education Ministers over the lack of religious freedom in this regard earlier this year, noting that Jews have lived in Europe for over 2,000 years without full religious freedom - a "fundamental principle" of the EU.